Hey! 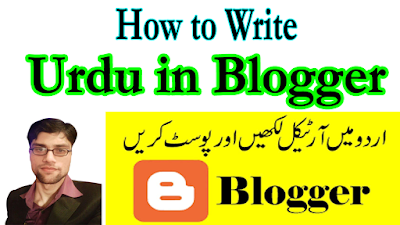 In this article we will discuss about how to write urdu in blogger post and how to install urdu fonts in blogger. Many Pakistani users don't know English and they wish to write Urdu articles for their blogger website. Friends you don't need to upload any null template you can type urdu in your customize theme. Now without time waste I will tell you how to write urdu in blogger post. That's it enjoy urdu articles and keep praying for me. Don't forget to share my article with your friends and type a comment with your best feedback. Hassan Raza is a blogger since 2013. He creates a number of successful blogs. He is an expert in Facebook Instant Article, SEO and Youtube. He is now become popular among his fellows. There are many followers from all over the world. Hello, my name is Hassan Raza. I'm a 26 years old self-employed from the Pakistan.